The Westboro Baptist Church evidently created a fake threat from Anonymous as a publicity stunt. The controversial Westboro Baptist Church isn't exactly a beloved organization. However, its claim that ethereal hacking group Anonymous had threatened to take the WBC down, was apparently just a bold-faced lie to garner publicity. Anonymous is known for taking on targets big and small that range from the U.S. government to Gene Simmons. One common thread through Anonymous' attacks is that they all seem to go along with the group's ideals of open government or freedom of speech. The WBC has some pretty insane views, in my humble opinion, the least terrible of which calls Batman and Superman false idols. At the worst, the WBC praises terrorism for, well, some crazy reason probably not even worth discussing. The organization claims it received an open letter from Anonymous that said: "We will target your public websites, and the propaganda and detestable doctrine that you promote will be eradicated; the damage incurred will be irreversible, and neither your institution nor your congregation will ever be able to fully recover." Anonymous put out a press release denying it had written the letter, believing it to be a trap to "harvest IPs to sue." 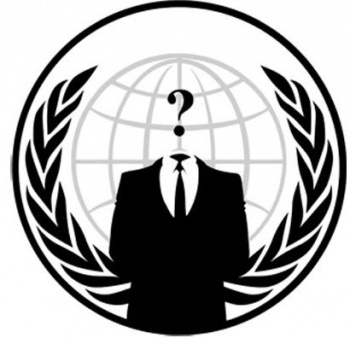 The press release reads: "When Anonymous says we support free speech, we mean it. We count Beatrice Hall among our Anonymous forebears: 'I disapprove of what you say, but I will defend to the death your right to say it.'" While it might be nice to see Anonymous take on the WBC, it unfortunately just doesn't make sense. It'd be like taking down the website of the crazy guy that yells at you when you walk down the street, on a slightly larger scale.